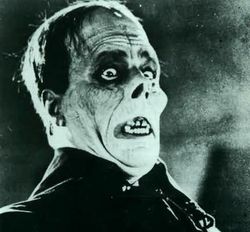 Once filming on HE WHO GETS SLAPPED was done, Chaney turned his laser focus to work on his customary self-created make-up for the title role in THE PHANTOM OF THE OPERA. It was well worth the time he spent crafting it as the Phantom’s look became one of the most famous Hollywood ‘monster’ roles - and partly inspired Batman artist Bob Kane in creating the face of the Joker. There had already been script delays and the exacting construction of intricate sets built for PHANTOM included the superb opera house interior haunted by its resident proprietorial tormentor and the maze of corridors and cellars described in Gaston Leroux’s original novel. Director Rupert Julian was brought on board as a reward for having finished MERRY-GO-ROUND after Von Stroheim was fired. Julian reportedly antagonised many of his team and crucially Chaney, which meant that their cameraman was forced to act as a go-between foe them on set. A huge casting search for the leading lady, ingénue Christine Daae, a’ la THE HUNCHBACK OF NOTRE DAME was staged, quite possibly literally for publicity as the chosen actress was Mary Philbin who’d just appeared in Julian’s last film. PHANTOM’s appeal and strength lies entirely in Lon Chaney’s performance as the disfigured Erik, essentially the world’s most pro-active opera critic. The other actors do their best but fail to really register: Norman Kerry as Raoul displays another of his trademark wax moustache collection and does have at least have a nice quality of stillness. Mary Philbin’s Christine is very beautiful, none more so than as an angel in an early opera scene, but lacks range. The actors playing the management who foolishly ignore Erik’s demands for Christine to be the new prima donna chuckle along amiably, Stadtler and Waldorf style from their audience box. Chaney though is a revelation. We are intrigued by Erik before we see him as he is conveyed entirely through effective use of shadows by Julian, but on appearing to Christine, confessing his all-consuming love for her from afar and desire to catapult her Svengali-like to fame as his muse, he is a rich and memorable presence. He wears a plastic face mask (eerily reminiscent of the Autons from classic DOCTOR WHO) that obscures all but his mouth, shrouded by a thin band of silk, and crucially his dark, soulful eyes that bore through the viewer. In making his first play for Christine’s affection face-to-face, he plays notes of sensitivity and kindness. Chaney’s talent for character channelled through physicality is striking here as he conveys expression through his hands to compensate for his facial impassiveness, for example in the way he indicates his bedroom with unfurling fingers. In the specially-restored colour sequences for the 2013 Bluray, that nightmarish face sears itself into your memory. He burns with sorrow and demonic rage, perched like a crimson-swathed gargoyle on the statue to observe Christine and Raoul’s romance secretly conducted against his sworn promise. The vivid red of these found scenes is tremendous, allowing us to see the grandeur of Erik’s entrance to the Bal de Masque as the Red Death sporting a blood-red cape, a skull party mask and a red hat-plume on parade before the other attendees. Although Erik is a Machiavellian manipulator behind the scenes, he knows how to make an entrance. Chaney also knew how to make an exit. At the climax, as the mob descends on Erik in the depths of the Paris sewers, he manages a bravura final flourish. Holding his right hand aloft, fist closed, he warns the frightened crowd away as if holding a grenade poised to detonate. Then, knowing that it is ultimately futile, he holds the hand out, exposing that it is empty but roaring with triumphant mockery as the hordes envelop him. This ranks as one of the most exhilarating and strangely upbeat horror film deaths in movie history. PHANTOM had a troubling history on its release. 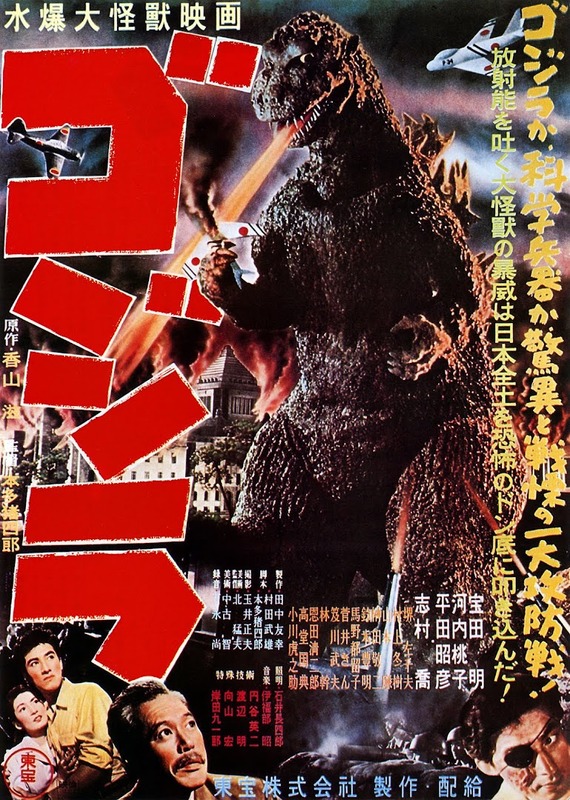 After initial preview screenings fed back an over-use of suspense, the studio did not have the courage to fully release the film as it was. Instead they tinkered with the structure, adding new scenes to forcibly inject comedy which didn’t belong. Audiences noticed this so again the film was cut and then released once more. In watching the final version, there is evidence of scenes that seem truncated but this in no way diminishes that all-important central performance. With THE PHANTOM OF THE OPERA Lon Chaney had now cemented his reputation among the first rank of Hollywood’s greatest actors.